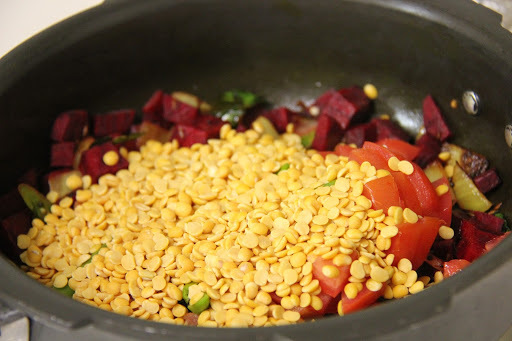 I always look for ways to add more and more vegetables to our diet.The USDA recommends 5-9 servings of vegetables and fruit per day per person and we hardly get half of those into our diets.Here is a recipe for our regular dal cooked with beetroot,extremely healthy and iron building. 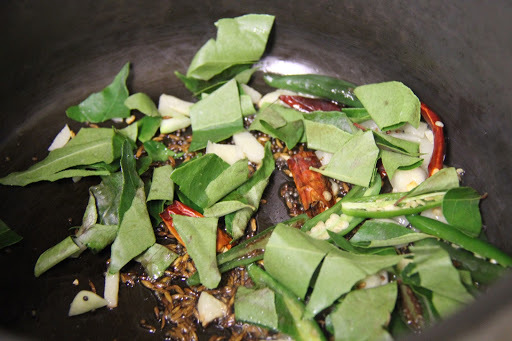 1.In a pressure cooker heat some oil and add the cumin, mustard, red chili, green chili, garlic and curry leaves and saute till mustard splutters. 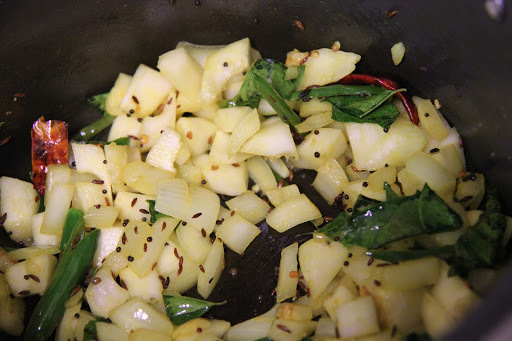 2.Add the onions, turmeric and salt and saute for a minute. 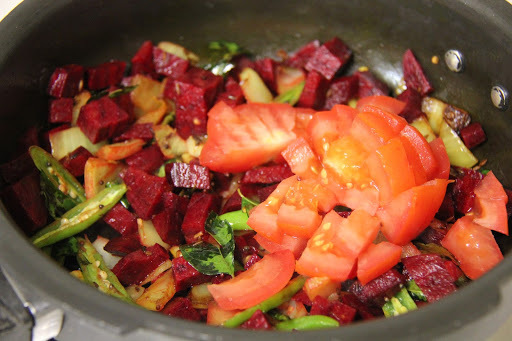 3.Add the chopped beetroot and tomatoes, and asafoetida and saute for a minute. 4.Add the toor dal,3-4 cups water and pressure cook for 4 whistles,let the steam go and gently stir the curry so that the dal gets mashed. It tastes good with rice and roti. 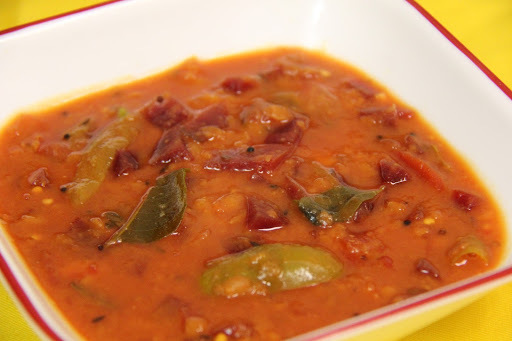 Never tried this Beetroot Dal. Good one to use beets.